Special: Join our VIP Club! Find out how you can SAVE! 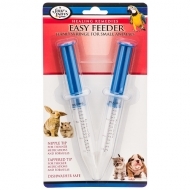 Four Paws® Easy Feeder is great for giving liquid medications and formulas to puppies, kittens, birds, reptiles and other small animals. Great exercise for cats, dogs, fish, birds and lizards as they chase the laser beam. 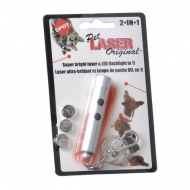 Emits SuperBrite red laser or Hi-Beam light which can be used as a flashlight on nighttime walks. Laser beam visible for up to 1 mile. Can be clipped to a Key chain, leash or Retractable Lead. © 2019 Elgin General Store. All rights reserved.